Fig. 17 Example of the Active Jobs App displaying all jobs submitted to the clusters. This Open OnDemand application provides a web-based view of the current status of all the available jobs on the batch servers hosted by the HPC center. This application is built with the Ruby on Rails web application framework. The Active Jobs App displays all the available jobs in a dynamically searchable and sortable table. The user can search on job id, job name, job owner, charged account, status of job, as well as the cluster the job was submitted to. Progressive disclosure is used to show further details on individual jobs by clicking in the “right arrow” to the left of a table row. Launches the Active Jobs App with a table of available jobs. Fig. 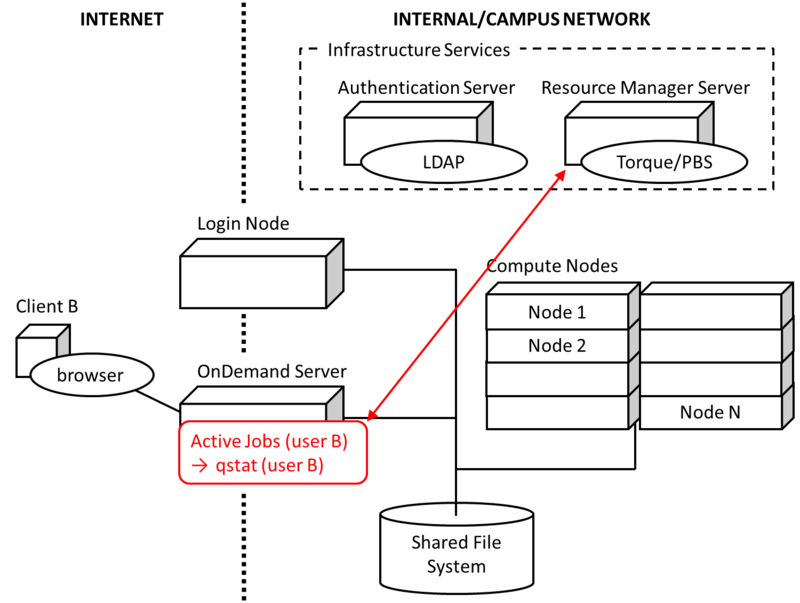 18 Diagram detailing how the Active Jobs App interacts with the HPC infrastructure. Fig. 18 details how the Active Jobs App works on a local HPC system. 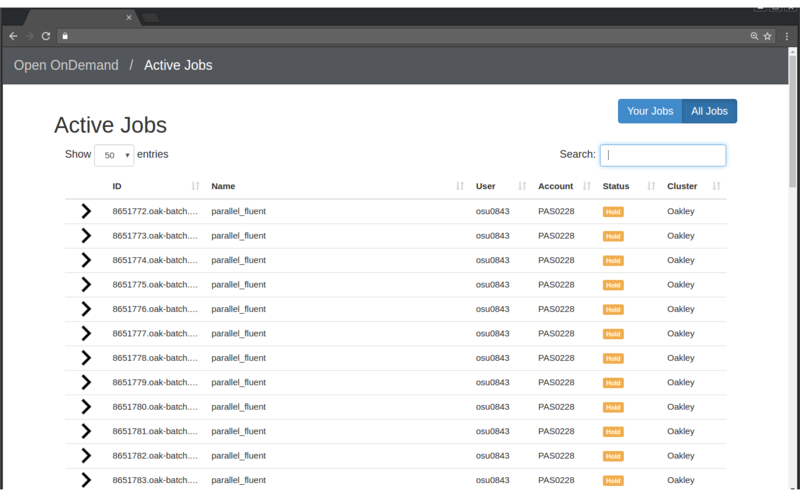 The user’s PUN running on the OnDemand Server launches the Ruby on Rails Active Jobs app through Passenger as the user. The Active Jobs app then retrieves a list of available jobs from the resource manager server through either a library call or forking a binary such as qstat and parsing the output.